August 27, 1940 to July 4, 2018: Never taking life too seriously and remembering to focus on love and laughter. Charlotte made every occasion no matter how big or small extra special. Charlotte Anne Brosnan passed away surrounded by her children on July 4, 2018, at the age of 77 at OHSU due to complications following a medical procedure. Charlotte was born in Eugene, Oregon to Henry and Rachel (Laine) Schnorenberg. Charlotte spent her childhood on a cherry and turkey farm near Spencer Butte. Charlotte's only sibling Charles Schnorenberg joined her in death on July 5, 2018. After meeting John William Brosnan at the Pendleton Round up she married the love of her life on June 21, 1964. They then settled down in Hubbard Oregon and enjoyed 45 years of marriage before John's death in 2009. Charlotte continued to live in their family home until her unexpected death. Charlotte was well known for her Finnish "Sisu" and it brings her family comfort to know she continued to live independently just as she wanted to. Charlotte is survived by her daughter Cathy (Paul) Brosnan-Trepus, daughter Patty (Tim) Brosnan, son John (Shelly) Brosnan, and daughter Mary Beth (Thomas) Fender and their children Joshua, Rachel, Naomi and Tyler Fender. Charlotte earned her Bachelor of Science from Marylhurst College in 1962. This began her long career as a dedicated elementary school teacher. Charlotte had a significant impact on the lives and families of many students in the Willamette Valley area. She spent the majority of her career at St. Luke School in Woodburn, Oregon. Charlotte loved spending time with her children and grandchildren. She encouraged her kids to experience life fully including experiencing different people, religions, and cuisines. Never taking life too seriously and remembering to focus on love and laughter. Charlotte made every occasion no matter how big or small extra special. Her children have fond memories of her personalized birthday cakes. She was a talented cook, musician and artist never wanting to be in the spotlight Charlotte provided comfort and support to all behind the scenes. She was well known for her correspondence especially Christmas and thank you cards. Her grandchildren looked forward to receiving cards on special occasions and knew they could count on Grandma Choo Choo to remember. Charlotte loved gardening, crosswords, angels, cross-stitch, birds, the Portland Trailblazers, staying in touch with family and old friends, and the color purple. She looked forward to her daily treat of a Dutch Bros. freeze with hazelnut. Charlotte was an avid reader who rarely went anywhere without a book in hand. Faith was extremely important to Charlotte. As a devoted Catholic, Charlotte was a member of the Catholic Daughters and Altar Society. She divided her time between St. Agnes and St. Luke churches and she cherished the friendships developed over the years. Charlotte regularly provided her delicious bow tie and three bean salads for funeral luncheons. Charlotte was also a Eucharistic minister and found many ways to participate in Parish life. Charlotte belonged to a local widow's group. This was a great comfort to her after John's death. She spent many hours laughing with her Bunco group. Charlotte was a very active volunteer in the community. 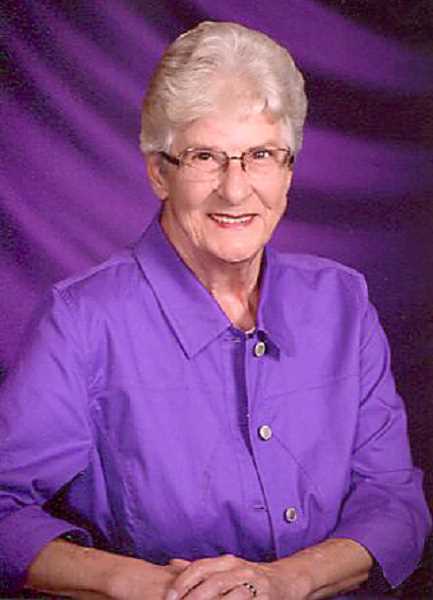 After retiring from St. Luke School she continued to impact lives by volunteering until 2016. Charlotte also volunteered regularly at the Providence Benedictine Nursing Home in Mt. Angel Oregon while her husband lived there and the 9 years following his death. Charlotte's immediate family would like to thank the teams at OHSU for the care and compassion they showed their mom and grandmother. Charlotte's family also finds it comforting that she found eternal freedom on the Fourth of July. In lieu of flowers the family asks that donations be made in Charlotte's honor to St. Luke School in Woodburn or The Friends of the Woodburn Public Library.